M.E. 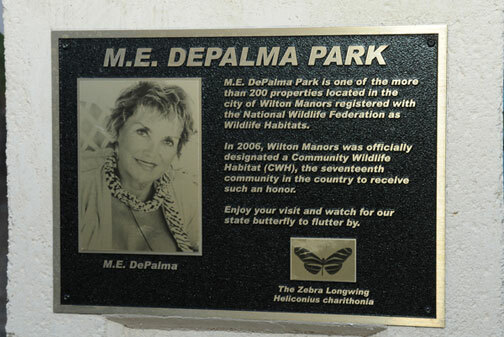 DePalma Park is a public garden containing native and other plants that attract birds and butterflies. The park, located at the corner of NE 7th Avenue and NE 20th Drive in Wilton Manors, Florida, is one of the more than 200 properties in Wilton Manors which are registered with the National Wildlife Federation as Wildlife Habitats. In 2006, Wilton Manors was officially designated a Community Wildlife Habitat (CWH), the 17th community in the country to receive such an honor. 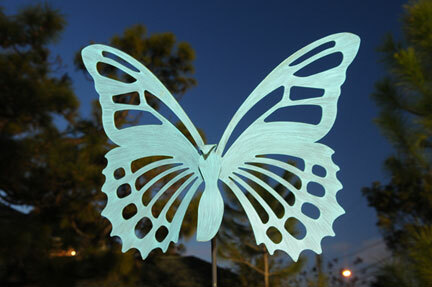 Enjoy your visit and watch for our state butterfly to flutter by.